Your article brings back fond memories. Prior to the popularity of the PCs, in the early 1970’s, the DEC PDP/11 had a timesharing operating system called RSTS/11, which included the ability for programs to send data between background and foreground programs in packets (they called them buffers) of either 32 bytes or 512 bytes. On my own time, while I was working at Citibank in Manhattan, I created a program in Basic Plus that enabled a single background program to accept a stream of packets from one terminal, collect them and then send them to another terminal. It was even able to handle packets coming out of order, put them into the right sequence and then forward them on. Lastly, if the computer crashed (as our PDP did from time to time), it would recollect all the packets and pickup where it left off. 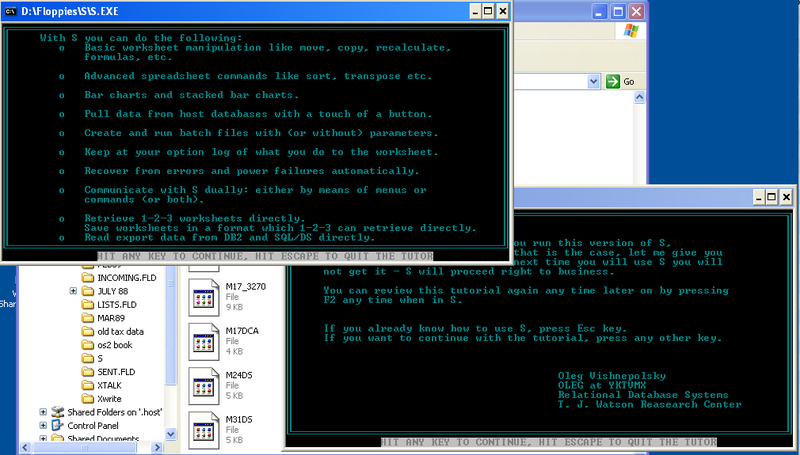 Users on the terminals could send a message (text only of course) of any length to any other terminal connected to the PDP 11 (including those thermal paper “portable” terminals connected by a dial up acoustic coupler at 110 baud). Messages were addressed by the account number of the user ([100,25] for example, meaning the program had to determine what terminal a user was logged onto before sending the message to that terminal). I demonstrated the whole thing to some white shirts at the bank… including the ability to recover unscathed from a crash. They said they’d never be put a terminal on everyone’s desk, so why persue this. That killed my little project. Little did I know at that time that a decade later, I’d be selling commercial email for MCI Mail with an MCI ID of 218-0241. Here is another trip down memory lane about Novell’s early years. Had some friends over for dinner last night, and got to talking about your article and computers of the past. While my grandfather’s Visual Commuter computer was amazing in 1985 (it had two, yes, two floppy drives) one of our dinner guests recalled building a MAC clone while he was in college circa 1991. I totally forgot about these kits. Great article. If only I had kept my plastic flowchart stencil template for basic computing! Reading this article and Rob’s post reminds me that it’s also the 25th year anniversary of the 1984 LA Olympics, the first “PC Games”. I was fortunate enough to manage IBM’s donation of PCs; we started with dual floppy drives and later, after the expansion unit came out (this is even pre-XT!) I was offered as many as I wanted. I couldn’t understand why anyone would need a hard disk when we had a dual floppy drive. After all, you still needed to keep the 1-2-3 or dBase disk in the drive or the copy protection software wouldn’t authorize bootup.